One of the leading challenges associated with end-to-end receivables management is a lack of visibility into each area of the management process. In each area of the end-to-end accounts receivable process, teams are working with distinct tools that separate data into silos. This limits the amount of communication between those in various areas of accounting and causes clear bottlenecks within the client payment process. Your collections team must know more about how your invoicing team is handling their processes in order to complete their work diligently. But oftentimes, the collections team simply doesn’t have the time to coordinate their work with those in invoicing. They're focused on communicating with clients to resolve billing disputes; meanwhile, your invoicing team has the data they need to help resolve disputes with precision. 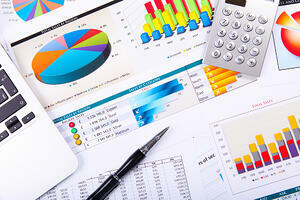 Part of the work of accounting teams involves the manual input of data from cheques and other remittances. Automation tools input the data immediately and extract the relevant information for use within the accounting system. Routing data is another critical tool for automation systems. They reconcile payments to outstanding invoices and then balance totals to the required amount. They then ensure this data is sent to the right department so that all members of the accounting team are on the same page regarding billing and collections. One of the key challenges companies face when their end-to-end accounts receivable system features department silos is that data cannot be tracked when it’s sent from one stakeholder to another. This can lead to the loss of data or significant delays in the payment process. Working with the latest automation tools ensures that payments can be back-tracked with precision. This tracking not only allows for lost invoices to be found and paid but also allows teams to make decisions based on past payment trends. Working with a fully formed and operational end-to-end receivables management system empowers your accounting staff and gives them full visibility into all accounting areas. To learn more about the process of building an end-to-end receivables management system, and on the value of automation for accounts receivable, contact us today.